commented on "Today I delivered a concurrent session at the 34th International Conference on Critical Thinking and Educational Reform. The ..."
Today I delivered a concurrent session at the 34th International Conference on Critical Thinking and Educational Reform. 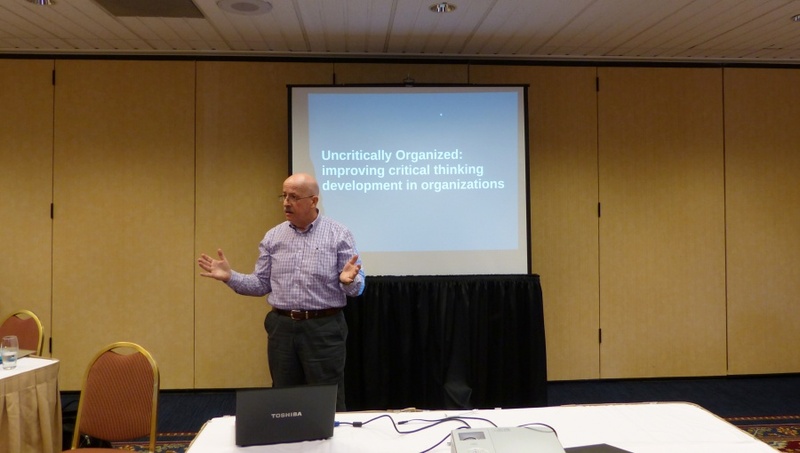 The session was titled "Uncritically Organized: improving critical thinking development in organizations". Privileged to have an audience of thinkers who engaged with me and asked probing and insightful questions. The conference is going well and I'm looking forward to redeveloping some of my work based on what I'm learning. An address by Ralph Nader yesterday was brilliant and inspiring.